From the Arches Loop Trail below Rattlesnake Arch, this persptive shows the iconic arch of this canyon from above on a perfect summer morning. The clouds were lit up with the morning sunshine, and the air was calm. 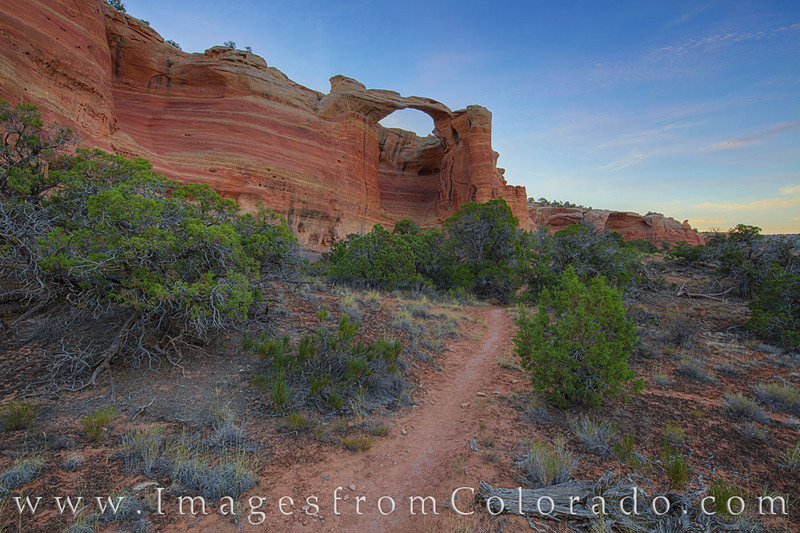 Just west of Grand Junction and Colorado National Monument, this portion of McInnis Canyons Area is worthy of exploration.